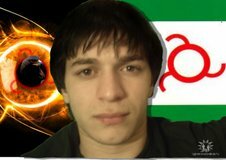 Islam kaloev was kidnapped in Novocherkassk town of Rostov area. He left a department store, having bought products, but did not come home. The products were found behind a shop corner, the fate and whereabouts of Islam kaloev remain unknown.The Public prosecutor’s office instituted criminal proceedings on the basis of evidence of an offence under article 126, paragraph 1, of the Criminal Code of the Russian Federation (abduction of a person).